25@365: Day 015 - What if no one's watching? JUNE 17, 2010 – Yay for new concealer! 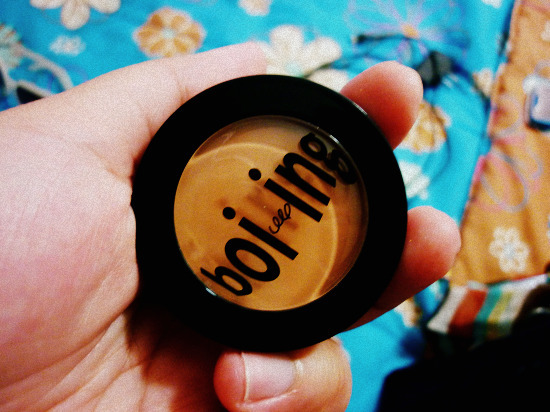 Boing by Benefit is the only concealer I trust when it comes to my dark eye circles, which are very annoying btw. Anyway, they’re long-lasting but a bit heavy when put on. And it takes long to finish one small container! I just used up mine (lasted for two years I think?) and got a new one. Don’t think this will last longer compared to my first one but I hope it will (it’s a bit pricey kasi). how does this compare to erase and paste, do you know?? Uhm hindi ko lang alam. But majority ng mga cosmeticians na na-meet ko tell me that this is a good one. I’m willing to try Lancome’s Effecerence (?) next time.